Goldenseal, Hydrastis canadensis, is a small plant which is found growing in the northern regions of the United States. Many of Goldenseal’s medicinal properties are derived from the plant’s root. 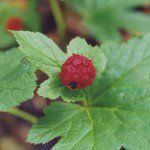 Goldenseal’s active compounds are berberine, hydrastrine, and canadine, Studies have shown that Goldenseal might have numerous indications including treatment of heart conditions, high cholesterol, cancer, and as an anti-microbial. Studies have shown, berberine, one of the active compounds in Goldenseal, might be useful for patients suffering heart conditions. In a study, patients with Congestive Heart Failure given berberine had increased left ventricular ejection fractions (LVEF), and improved exercise capacity and dyspnea-fatigue index. The patients in the study noted an improved quality of life, and the mortality in these patients declined compared to CHF patients who were not treated with berberine (Zeng, Zeng, and Li 173-176). Goldenseal may also be used to lower cholesterol. In a study conducted in 2004, patients with hypercholesterolemia were given berberine over a 3 month period. Patients’ cholesterol, triglycerides, and LDL all decreased by 29%, 35%, and 25% respectively over that time span (Sheng, Jiddawi, Hong, and Abdulla 283-284). Goldenseal’s active compound berberine has also been found to arrest replicating tumor cells in G1-Phase, leading to inhibition of tumor cell proliferation and induction of tumor cell death. In a recent study in 2010, berberine was found to be more effective against breast cancer cells than doxorubicin, a drug commonly used to combat breast cancer (Kim, Yu, Ko, Lee, Song, Park, Shin, and Han 436-440). Research has also shown Goldenseal has anti-microbial activity as well. A 2010 study demonstrated Goldenseal inhibits the growth of Heliobacter pylori. H. pylori has been associated with some stomach ailments (Cwikla, Schmidt, Matthias, Bone, Lehmann, and Tiralongo 649-656). However, it also a part of the normal bacterial flora in our gastro-intestinal tracts, so too much Goldenseal could potentially disturb the balance of bacteria in our guts and cause unwanted side effects. Goldenseal may also have anti-microbial activity against Escherichia coli and Vibrio cholerae. Goldenseal has also been used for infections, the common cold, constipation, muscle spasms, anorexia, cirrhosis, colitis, conjunctivitis, diabetes, edema, fever, menorrhagia, sinusitis, and as an anti-inflammatory agent. However, more research still needs to be done. A common side effect of Goldenseal has been gastro-intestinal complaints, and on rare occasions nervousness has been reported. Toxic doses of Goldenseal can also result stomach ulcerations, constipation, convulsions, hallucinations, nausea, vomiting, depression, bradycardia, respiratory depression, and seizures. Goldenseal should not be used by women who are pregnant or nursing, or individuals with hypertension. Goldenseal is a CYP3A4 and CYP2D6 Inhibitor, so it may decrease the efficacy of drugs a patient may already be taking. Also, Goldenseal has had reactions with antihypertensives, barbituates, has inhibited the effects of anticoagulants, and decreaed Vitamin B absorption. Cwikla, C, K Schmidt, A Matthias, KM Bone, R Lehmann, and E Tiralongo. “Investigations into the antibacterial activities of phytotherapeutics against Helicobacter pylori and Campylobacter jejuni.” Phytotherapy Research: PTR. 24.5 (2010): 649-656. Print. Ehrlich, Steven. “Goldenseal.” University of Maryland Medical Center. N.p., 03 Mar 2011. Web. 18 Jun 2012. “Goldenseal.” Memorial Sloan-Kettering Cancer Center. N.p., 21 Feb 2011. Web. 18 Jun 2012. “Golden seal (Hydrastis candensis): Natural Drug Information.” UpToDate. UpToDate, n.d. Web. 18 Jun 2012. Kim, JB, JH Yu, E Ko, KW Lee, AK Song, SY Park, I Shin, and W Han. “The alkaloid Berberine inhibits the growth of Anoikis-resistant MCF-7 and MDA-MB-231 breast cancer cell lines by inducing cell cycle arrest.” Phytomedicine: International Journal of Phytotherapy and Phytopharmacology. 17.6 (2010): 436-440. Print. Kong, W, J Wei, P Abidi, et al. “Berberine is a novel cholesterol-lowering drug working through a unique mechanism distinct from statins.” Nature Medicine. 10.12 (2004): 1344-1351. Print. Rabbani, GH, T Butler , J Knight , SC Sanyal , and K Alam . “Randomized controlled trial of berberine sulfate therapy for diarrhea due to enterotoxigenic Escherichia coli and Vibrio cholerae..” Journal of Infectious Diseases. 155.5 (1987): 979-984. Print. Sheng, WD, MS Jiddawi, XQ Hong, and SM Abdulla. “Treatment of chloroquine-resistant malaria using pyrimethamine in combination with berberine, tetracycline or cotrimoxazole.” East African Medical Journal. 74.5 (1997): 283-284. Print. Zeng, XH, XJ Zeng, and YY Li. “Efficacy and safety of berberine for congestive heart failure secondary to ischemic or idiopathic dilated cardiomyopathy.” American Journal of Cardiology. 92.2 (2003): 173-176. Print.